A formal essay is described as a type of written composition created to discuss a topic assigned by professors to the students. This type of essay is basically a well researched analysis about a particular topic, a claim or an opinion. Most of the students find it a really daunting task as they think they will have to follow a formal procedure to complete it. However, if they break the entire task into various steps, they will be able to manage it very easily. 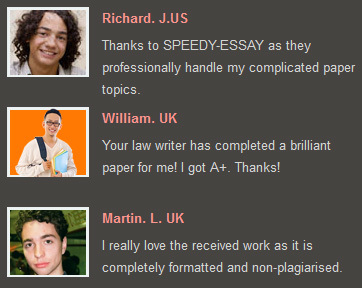 The entire essay supports the thesis statement which might be a claim or simply an opinion. The statement might also be called a cautious thesis throughout the initial steps of writing process due to uncertainty of the claim or opinion which might later be broaden or narrowed. As the process moves forward, the writer comes in a better position to say something as an ultimate conclusion. Objective # 1: Stay within the topic and don’t get distracted during the research process. Objective # 2: Find the acceptable answer for topic related research question which is usually quite specific and thus the writer must follow a very careful approach toward the answer. Objective # 3: Build essay’s basic structure and try to make strong foundation for the thesis statement. You can begin by defining your main topic which may also include proper definition from a well known dictionary. On the other hand, you may also describe the topic in your own words so readers can easily understand what they are actually going to read in the next steps. Another very impressive way to attract readers is to begin with an interesting quotation which must be related to the topic. The last but not the least trick is the use of statistics or facts about your topic. Once you capture the attention of the readers and bring them to the main body of your essay, you have to use your maximum potential to make them feel they are really getting for what they have come to this step. The supporting paragraphs of your essay should contain everything needed to support your thesis statement such as facts, statistics, details, examples, surveys, interviews or events. An excellently written paragraph should contain main topic sentence along with supporting sentences which work as the proof to support thesis statement. The paragraph should also contain transition sentence which will motivate the readers to continue reading the next coming paragraph. As far as the length of a supporting paragraph is concerned, it usually depends upon the information about the topic. However, the general idea is that a paragraph should neither be too long nor be too short. If you unnecessarily lengthen a paragraph by including same ideas repeatedly, you will simply make your readers bored and the best way to get rid of such boredom is to split the information into 2-3 sections but never repeat your ideas if you don’t need it. On the other hand, if the length of supporting paragraph is too short, readers might take it as an unserious piece of writing. Therefore, you should always use some interesting information to bring the para at an average size. A conclusion may predict something new about the topic which will keep readers think about it. A conclusion might give warning about something that could occur if the thesis problem is not resolved as early as possible. A conclusion might suggest a solution to solve the issue discussed in main body the essay.